You never get a second chance for a first impression, so what does your smile say about you? If your dentures are showing signs of wear and tear, your smile and appearance might not be living up to their fullest potential. This is why it is important to be aware of signs that indicate your dentures need to be replaced. Jean Barthman, D.D.S., in Redwood City, CA, can restore your confidence and your comfort by replacing your dentures. Do your missing teeth or unhealthy gums make you feel self-conscious and cause you to appear older than you really are? With Denture Fountain of Youth® and FOY® Dentures, Dr. Barthman seamlessly blends restorative and cosmetic dental practices to turn back the hands of time, rejuvenating your appearance and highlighting your natural beauty. Although this non-surgical alternative to facelift surgery is designed to be strong and durable, all dentures require replacement every five to ten years, depending on how well you care for them. A variety of factors can impact the fit and effectiveness of your dentures. Everything from tooth and gum erosion to the changing appearance of your face and jaw shape affects dentures. For example, your underlying bone structure is constantly shifting. These shifts can loosen your prosthesis, making them move while you eat or speak. On the other hand, if you don’t wear your dentures often, you may find their fit becomes a little too snug over time. 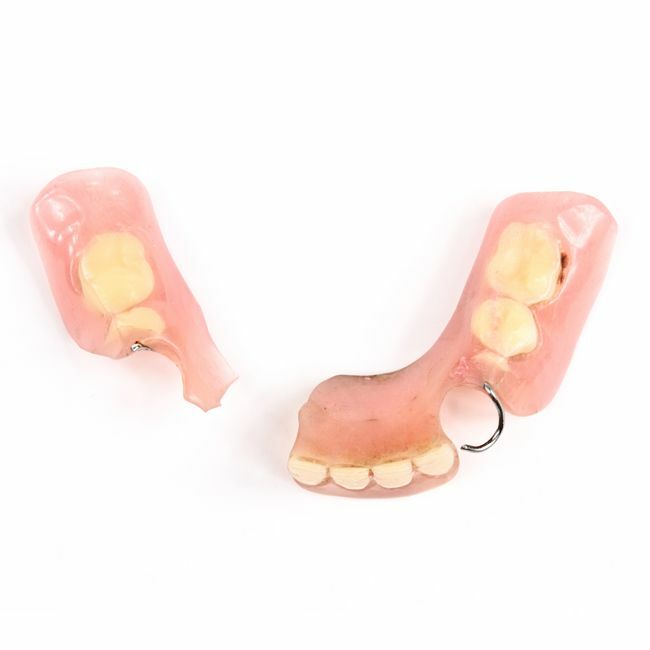 It is important to note that if your artificial teeth or other parts of your dentures chip or crack, this does not necessarily warrant replacement of the entire prosthesis. Dr. Barthman may simply want to repair the broken piece. However, if the denture base becomes damaged, a new appliance will be required as the base is the most vital part of the dentures. If the base is broken, the entire appliance will not function correctly. To get the most out of your dentures, it is important to care for them properly. Keep your dentures from drying out by placing them in a cleansing solution or cool water when they are not being worn. Patients must also brush dentures daily to keep them free of plaque, leftover food, and stains. Maintaining a natural, youthful smile is not the only reason patients should keep an eye out for signs their dentures need to be replaced. If you have had the appliance for 10 years or longer, Dr. Barthman should examine the prosthesis to confirm it is still functioning properly. Dentures that fit correctly will help you chew, eat, and speak with ease, and will also ensure your bite and jaw remain properly aligned. If you detect any hints that it might be time to improve your smile with new dentures, our team is ready to help. To schedule an appointment, call us at 650-367-4967 or contact us online anytime.